Chuck Holmes considers himself one of the last generation of true southerners, growing up in the era before Interstate highways, television programs, and air conditioning. He has been a professional writer all of his adult life; however, this is his first novel. He lives in Georgia with his wife and near his children and grandchildren. As Stumpy Fowler sets out to work on one fine May morning in 1956, he’s blissfully unaware of what’s unfolding around him. At his house, events are being set into motion that will turn his world—the town of River Falls, a place strictly segregated into black and white sections—upside down. Because Bessie Williams, his wife’s “help” and the leader of the Bethel A.M.E. Church choir has decided that this is the year her choir will enter The Sing. 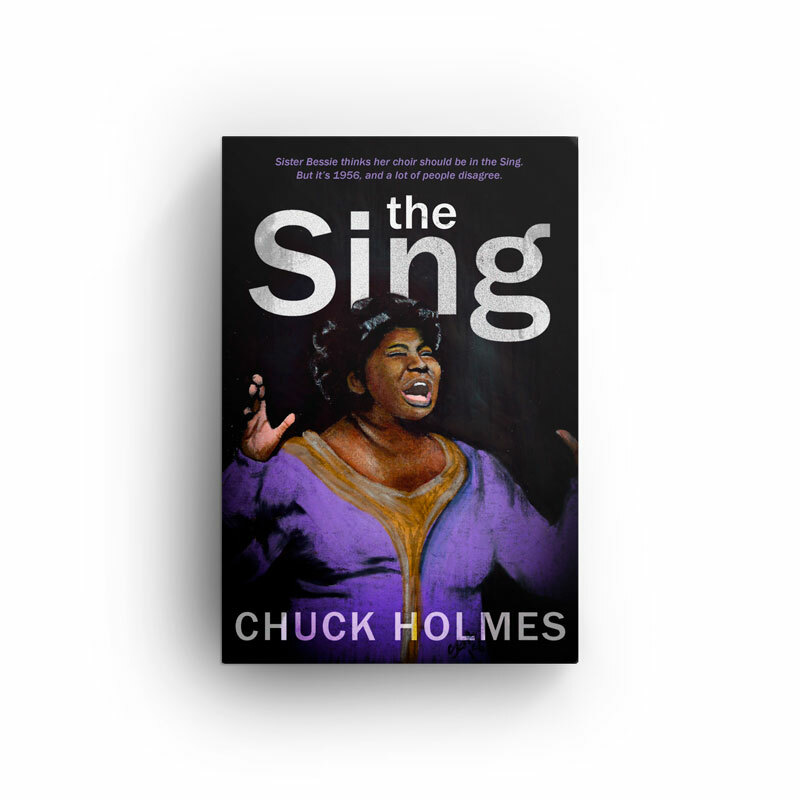 An annual singing competition “open to all,” The Singis the one thing River Falls is known for…and no black choir has ever competed. Bessie’s determined to change that, but her decision will have dire consequences: the Klan is active and thriving in River Falls, and they’ll do anything to keep The Singas white as it’s always been. It causes Stumpy to ask questions that he never thought of, arrive at answers he’d never considered, and learn new things about his friends… things he’d really rather not know. Stumpy doesn’t really care for change, but suddenly, he’s drowning in it.